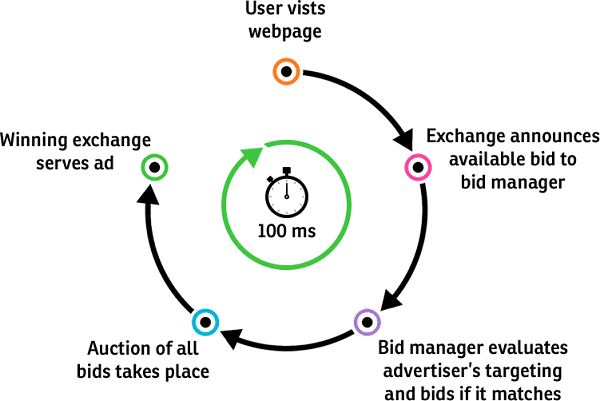 What is Real Time Bidding? How Does it work and Why you Need ot? Why is real time bidding important for Your PPC Campaign? Right now, everyone is buzzing about real-time bidding and if you’re taking part in a paid search campaign, it’s definitely a buzz phrase worth investigating. This new way of running display campaigns is revolutionary in many ways and will only expand in the coming months as more merchants start investing in real-time bidding. Traditionally, Display advertising required advertisers to pay a fixed rate for a certain number of impressions which is how media buys worked. Advertisers use static bidding model to buy impressions in buckets of 1000 impressions charged also known as CPM or cost per thousand impressions at a flat or fixed average rate in that bucket. The flaw with this model is that the impressions are less effective at certain times of the day. It wouldn’t be wrong if I say that Real-time bidding is the future of display advertising. It is a dynamic way for advertisers to manage their campaigns through bidding in real-time on available ad inventory. Advertisers can narrow down their target market based on content that the user is looking at, or behaviors that they have exhibited online. The buyer, through the platform of their choice, can differentially value each individual opportunity to buy an ad impression in real time. Imagine accepting or rejecting each individual ad impression in your media plan. What this does it that it allows buyers to maximize the results within shorter timelines and improve the ROI within the budget as there is more flexibility with not only the price you set on the individual impression but also on the relevance of content and audience to target the right customer this saves spending dollars on wasted impressions. Large advertisers who focus on ROI and scalability of campaigns, real-time bidding is a gift sent from heaven as they can set the impression price based on the relevance of audience on publishers available ad spot which allows them to find the sweet spot where they can scale the campaign. Large brand and advertisers may have budget advantage but small advertisers can benefit from real-time bidding too as they can choose to advertise when the auction bid meets their set budget. What Do I Need to Know About Real-Time Bidding? 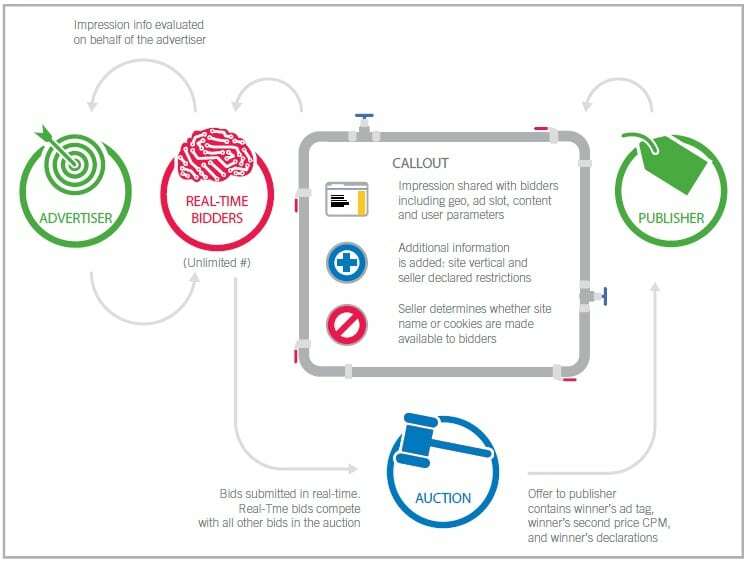 First off, the important things to know about real-time bidding are that TRB has some great targeting capabilities and the auction is a bit different. Traditionally, display adverting requires negotiating with publishers and buying a set amount of ad space to ensure that your ads get the target number of impressions, or for a particular date range. Businesses would choose these publishers/websites based on the content and the predicted audience range. Unfortunately, this leaves little flexibility for optimization once the campaigns are launched – the potential for wasted spend on impression can be high in this case. 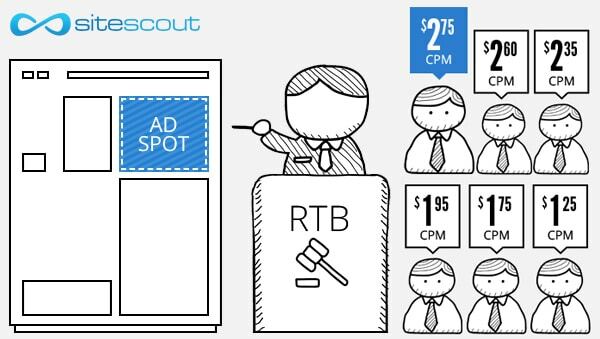 Real-time bidding allows for display ads to be released to auction with advertisers choosing to purchase ad inventory based on much more qualified audience targeting. From there, available impressions are only bid on when their targeting methods match. This option to bid for inventory only when the audience matches is HUGE for advertisers. It means that you can be much more precise in your targeting options and maximize your budget, which means better returns for advertisers of all types and sizes. The process of real-time bidding is what makes a huge difference. Instead of being locked in or limited by your campaign, the data that’s gathered in real-time bidding allows or you to begin optimization as early as the day of launch, so you can see improvements as they happen. With an ever changing market, you can now manage your campaigns with the flow in mind. This shift in real-time bidding mimics what’s been seen across Google in organic as well. Instead of focusing on just targeted keywords, it’s now more about targeted audiences. Marketers and advertisers alike are challenged with making their campaigns more effective by putting user intent first. This is a good thing, and it’s something our PPC team at Omnicore only expects to grow in the future. Real-time bidding as a result is speedy, accurate, and designed to change the game in PPC, which means bigger and better returns for all types of advertisers, not just ones that have huge budgets. 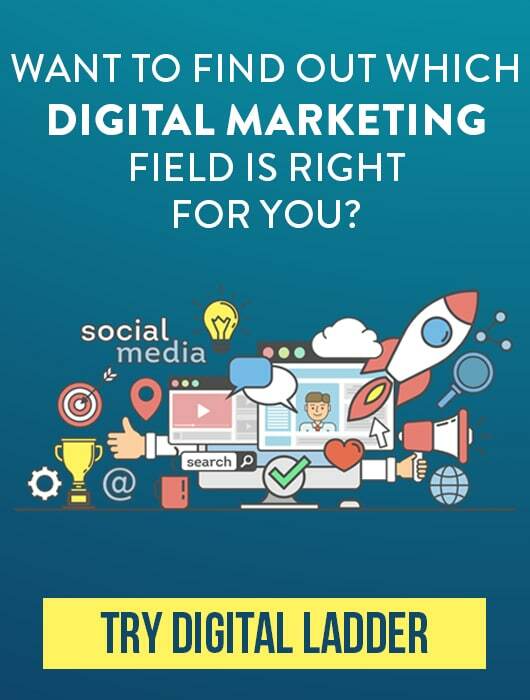 Whether you use an agency, a specialist or manage in-house, there is little doubt that the requisite skills for trading RTB media effectively differ drastically from traditional media buying skills – data mining, testing frameworks, analytics, auction dynamics, campaign management all feature heavily. Make sure you have the right people with the right skills. RTB is an advance form of advertising that requires special skills and technology platforms to deliver the ads and therefore it can go heavy on your pocket. Therefore, if you are going to give it a try, make sure you keep your expectations realistic, keep patience and prepare to spend some money to make it work for you. How Can I Start Real-Time Bidding? Well, within Google (or any other ad auction system), there are options for real-time bidding within the platform. First, it’s important to educate yourself on real-time bidding best practices or work with your PPC manager or a qualified PPC agency to coach you through the process and then test the waters with either Google or other Ad Auction Systems that are offering Real-time bidding.